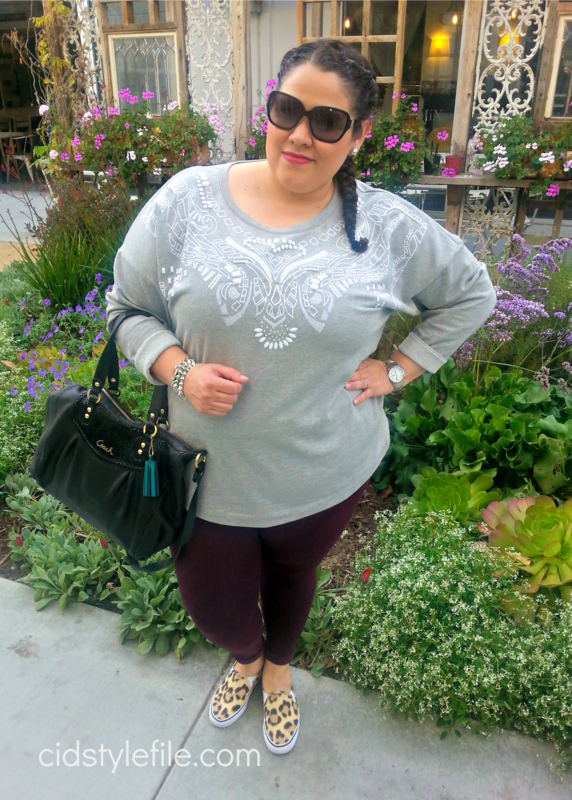 Cid Style File: Wearing Fancy Sweatshirts, Looking Cute & Being Comfy! 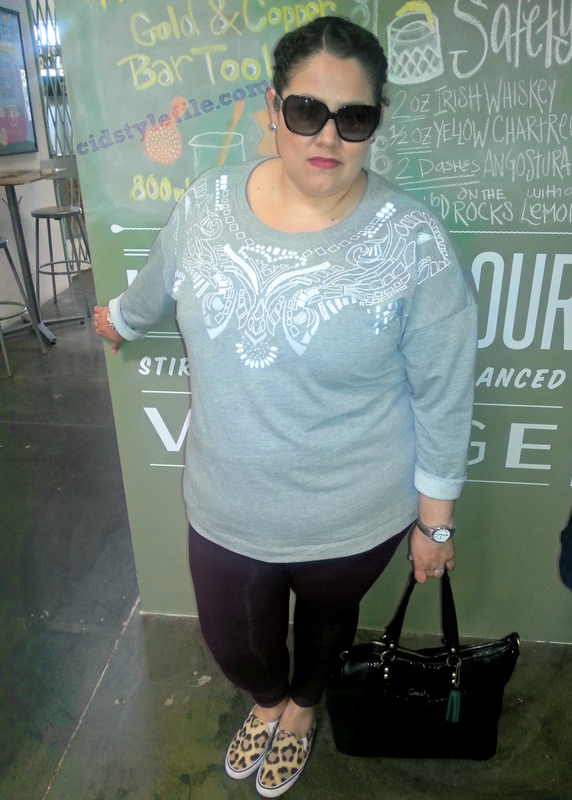 Wearing Fancy Sweatshirts, Looking Cute & Being Comfy! We all have those days when all we want to wear is something comfy and casual! Sometimes those comfy, causal outfits include sweats. I have to admit, I'm guilty of running out of the house in my sweats looking a mess. Sometimes you can't help it, especially certain times of the month. You get it right? Sweats are just so comfy, cozy and make you feel good. Although they don't make you look good, its a vicious trap! Well thank goodness for a new trend in fashion...the fancy sweatshirt. The name alone is kinda funky, but hey lets go with it. I am all about dressing, comfy and cute. Most "fashion" people hate the word comfy associate with style. But guess what "I Don't Care"! If its not comfy and cute, I won't wear it. There's no reason fashion can't be comfortable, who wants to wear clothes that makes you uncomfortable. NOT ME! Take a cue from Rachel Zoe, who is the top celebrity stylist, and just published a new book about "Living in Style: Inspiration and Advice for Everyday Glamour". Recently she was interviewed and said she gets it now that she's a mom. "It’s about being a mom who deals with diaper duty, and being a businesswoman who attends corporate meetings, all the while maintaining a seamlessly glamorous look, and approach, to life." I get it, you don't have time to get dressed up and be glamorous, but it can only take 5 minutes to add some lipstick, wear some leggings with a cute top and boots. Just a few little simple things can make the difference from looking cute or messy. If you want to hear more from RZ, check out the full interview with AP (here). I have to agree with Rachel, sometimes those little simple things can make you look better, which in turn will make you feel better. I don't think anyone ever feels cute in sweats and a t-shirt, with no make up. Well at least I don't, so this is one of my alternative outfits to "sweats". 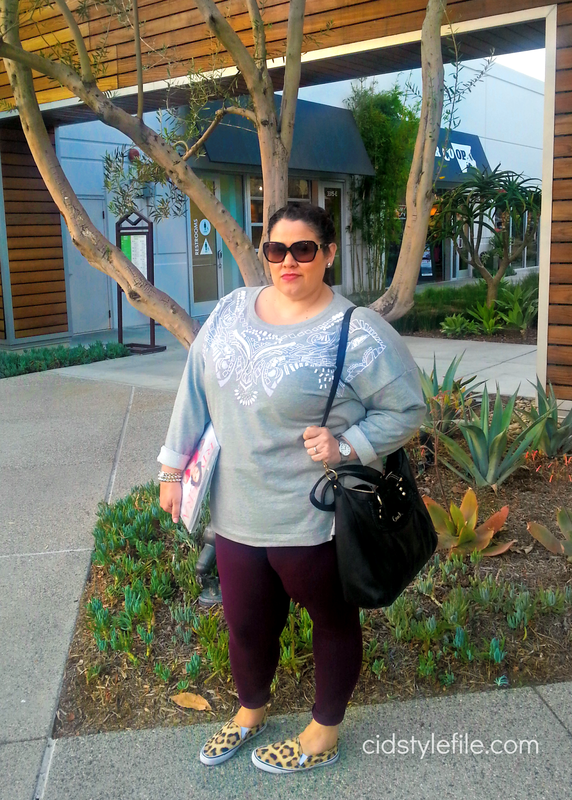 I still felt cute, and comfortable, with leggings and my fancy sweatshirt. We all have busy lives and never seem to have enough time, but remember just a few extra minutes on your self can make the difference on how you feel! Don't forget to enter my giveaway, you can enter to win a gift card of your choice! I love fancy sweatshirts- you look adorable! But hey, there are going to be a lot more replica watches Daytonas around for me when people drop them for the new one so I not complaining. I know many that can buy these watches like rolex replica sale but you talking about the folks that are perhaps watches store generation elites that spend money like that, or perhaps the one hit start up wonders that make it rich. Either way you not completely wrong but even the uber rich are spend like that, it probably the reason they are wealthy in the first place. If the replica watches sale is a fraud and rolex should be taken down with extreme prejudice. That is like one of those shocking days in the world when every few years when they have a significant anniversay and they do all the interviews. The rado replica gets high marks from me for having a well proportioned case. Thin and wearable uncommon for a modern mechanical chronograph. Let them run a site see how difficult fake rolex sale can be to keep the content flowing, how much of your own time is spent on keeping the site up and running and keep everyone happy. I've Been Blogging For 5 Years and Still Going!